I love parcels!! 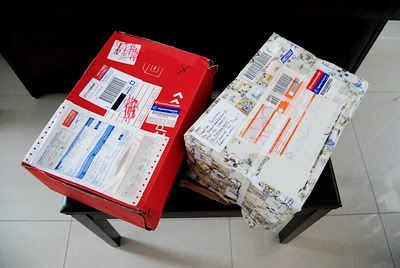 !Left parcel from England and the right parcel from The Netherlands. 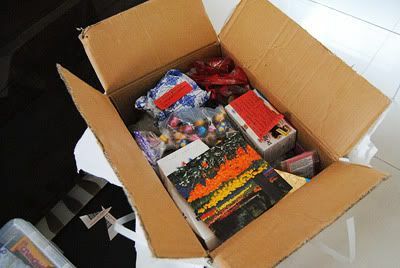 Yesterday my little sis and I recieved 2 parcels in the mail that we had gotten from the Livejournal Help for Haiti Auction. It involved bidding on items from all around the world that people put up for auction with the winners donating the amount to a specified charity to help Haiti. 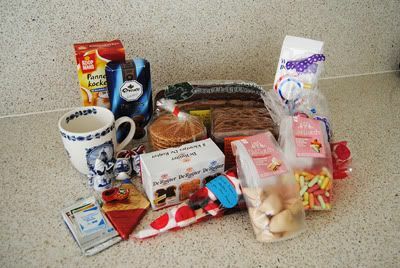 My sis "won" 2 packages - one from England and one from the Netherlands. I am a HUGE fan of sweets and in particular British sweets - sherbet lemons, flying saucers, wine gums, fruit gums you name it i love it! 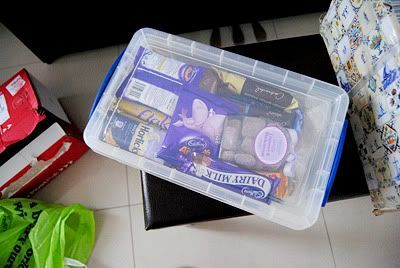 This box contained some quintessential British choccies and biscuits and some really cute candles too. British stuff is pretty readily available (thought pretty pricey) in Sydney so my sis and I were really excited to open the Dutch package. The girl who organised it was so sweet and thoughtful as she handwrote little notes on every single item explaining what the item was and if it was a food item how to eat it etc. British sweets are available in Sydney from shops like Treats from Home and The British Lolly shop but they charge quite steeply for this privilge. 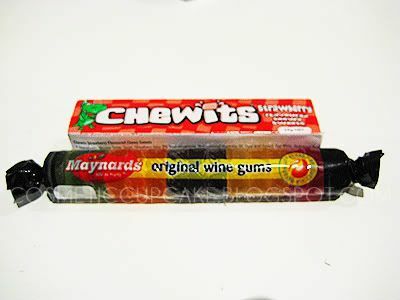 That's why I was totally shocked and totally excited when I saw Chewits and Maynards winegums on sale for only $1 (!!!!) at Go-Lo today at Broadway. 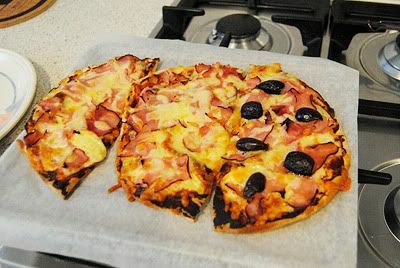 Last night I made pizzas for dinner with lebanese bread which is quick and easy and (what I like to think! )a healthier option to normal pizza. It was yummy! If you enjoy reading my little blog please follow me! How lovely! I adore trying candy from different countries. When my boyfriend and I travelled through Europe we trialled Mars Bars from every country. Turns out Germany has the best! That pizza looks divine too! Yummm, those gifts are so sweet and even better because it was for a good cause. the pizza looks delicious!! @Pepperandbaxter: I agree =) Ooooh good to know! I haven't been to Germany but I will definitely try mars bars when I'm there. Have you tried a deep fried mars bars? It's so good! @Meme: Thanks for visiting my blog!